As someone who has experienced anxiety since I was a small child, I am always looking for real tools and books that support me, and can help me manage the feelings. After beginning a course of mindfulness and regularly practising mindfulness meditations daily, I looked forward to reading this book. Unfortunately, while it has the potential to be a great support for those suffering with anxiety, I did not find this book an easy read. It has all the exercises and techniques that can be useful, but is too full of case studies (sometimes on every other page). I found it wordy, too full of information and not well laid out. When someone has anxiety they need advice in simple, clear terms. Here I felt like I was trawling through a jungle of words to find what would help me. Other books I have read on this topic seem to flow more and do not overwhelm the senses (something no anxiety sufferer needs more of). It felt as if it was trying too hard, trying to have heart, but it felt a little cold and detached from the subject matter. I found it quite irritating; the constant references to why mindfulness would help me, when the book is about mindfulness and anyone who purchases it would be thinking it could help, otherwise they would not have bought it. The authors are both Professors of Psychology, and it shows. It reads more like a thesis. and I sincerely wish it had flowed better because it has the potential to help a lot of people. Possibly the tools and techniques work really well when working with a therapist. However, it was not written simply enough for someone who either couldn’t afford to, or didn’t want to, work with a therapist. I have read better, and found ‘The Mindful Way Through Depression‘ far better for my anxiety and a much easier read (also by Guilford Press) and the brilliant Indie author Paul David’s book ‘At Last A Life’. There is so much potential here to help sufferers. What is needed is for the authors to identify their target readership from a more feeling rather than an intellectual level. Anxiety is such a big deal to many people and we need to know people have been there and bought the t-shirt when they claim to be experts on anxiety. Lots of information on anxiety and mindfulness. Probably good for professionals, educators, or psychology students. Too much information, too many case studies, feels cold, fragmented and repetitive. The authors appear to have tried to pack all their experiences into one book, but reading it made me feel more anxious. 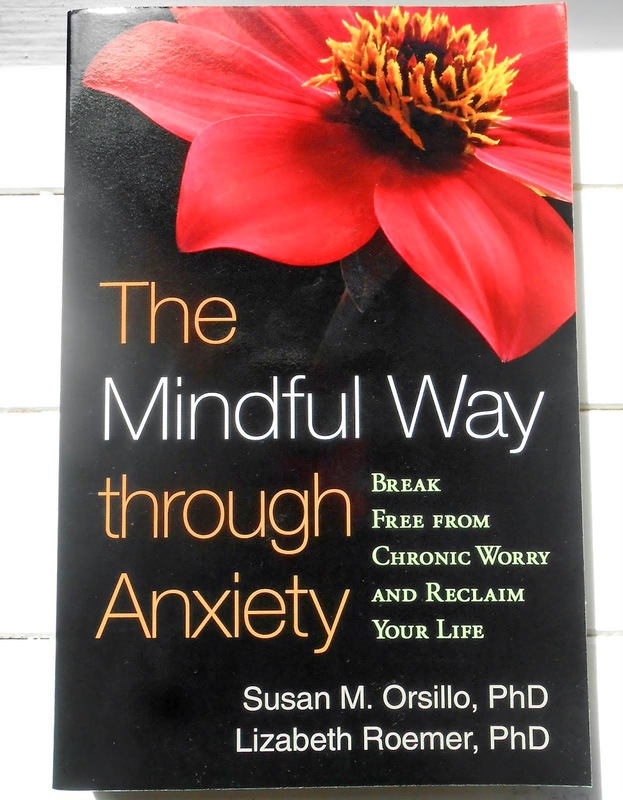 *Post Disclaimer: I received ‘The Mindful Way through Anxiety ‘ from Guilford Press in the UK for review. All opinions are my own. This post also contains 1 affiliate link, meaning I get a small commission from a sale.